NYC PREMIERE Though raised in a Modern Orthodox Jewish New Jersey household, director Anna Wexler rejected religion as a teen, finding friends with similar backgrounds. After they studied in Israel, however, these once-rebellious friends re-committed to their faith, puzzling her in the process. 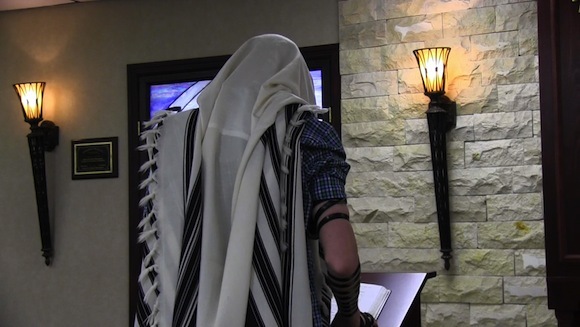 Teaming with Nadja Oertelt, who was raised secular, Anna follows three diverse Modern Orthodox teens to see what effect a year at yeshiva in Israel will have on them. Take a look at the story of Israel’s BRAVE MISS WORLD and our other Jewish-themed films. Screening with Sarah Berkovich’s The Bulletproof Stockings. Two women bridge their passion for music and their Orthodox faith by forming a Hasidic alternative rock band that only plays for women.